If you are out of ideas what to wear this season, keep reading because I have 3 Spring outfit ideas for you today! Hello my dear readers and welcome to the new post on my blog where I will be sharing with you 3 Spring outfit ideas for Spring 2019 which may serve as inspiration to you if you are running out of ideas what to wear next. These three outfit ideas I will share with you have something in common, a clothing item which I have been loving since last Spring - Summer season - wide leg pants! I probably have ten pairs of these pants in my wardrobe! Keep reading to find out where you can get all of the items I am wearing on these photos! 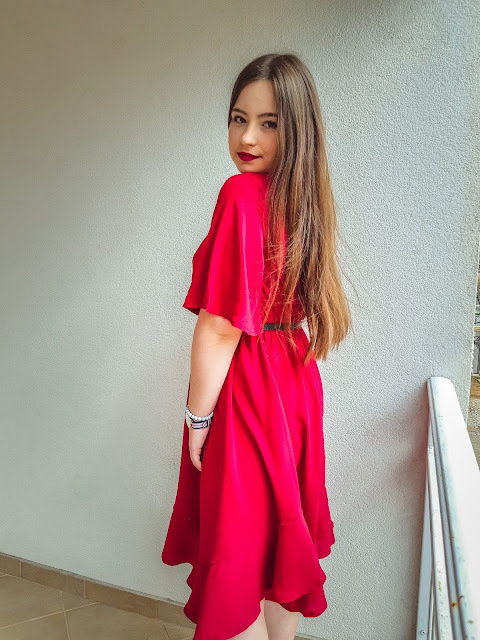 The first outfit I have here is honestly my favourite one out of these three because I love wearing red colour, I think it looks good on me and it's my favourite colour besides black. I got this T-shirt from Terranova where I don't usually shop at all but it was only like $3 and I thought why not? The material is not that good but it goes pretty nice with these pants which I got from Rosegal web shop. I can't really remember how much they were because they are sold out currently and I can't check it out but here is the link for them on Rosegal web shop so when they restock you can find them --> HERE. 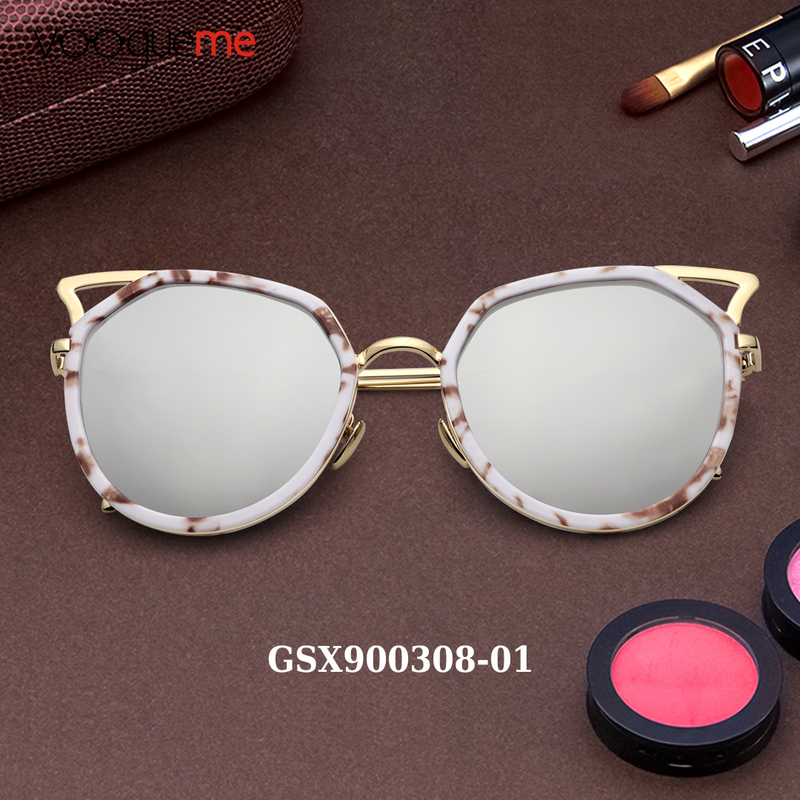 Enjoy 15% Discount on Rosegal with coupon: Tank01. My bag is also from Rosegal but I ordered it long time ago, I found the link HERE but it's not available currently. The plain black blazer you see on the first photo is VERO MODA and shoes are white Nikes. 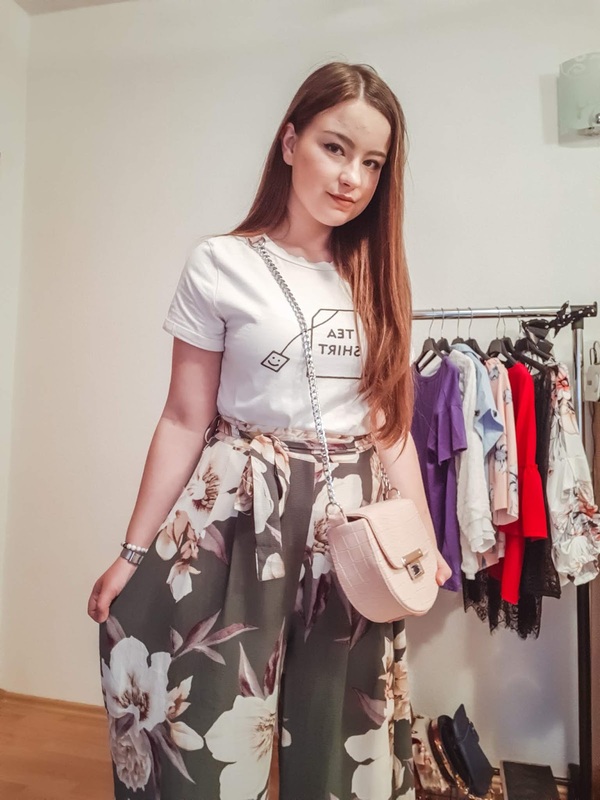 The second outfit's statement piece are these floral pants which I got from Zaful like a year ago, I tried to find link but I couldn't find it, they aren't available now but Zaful truly has some amazing pants right now. 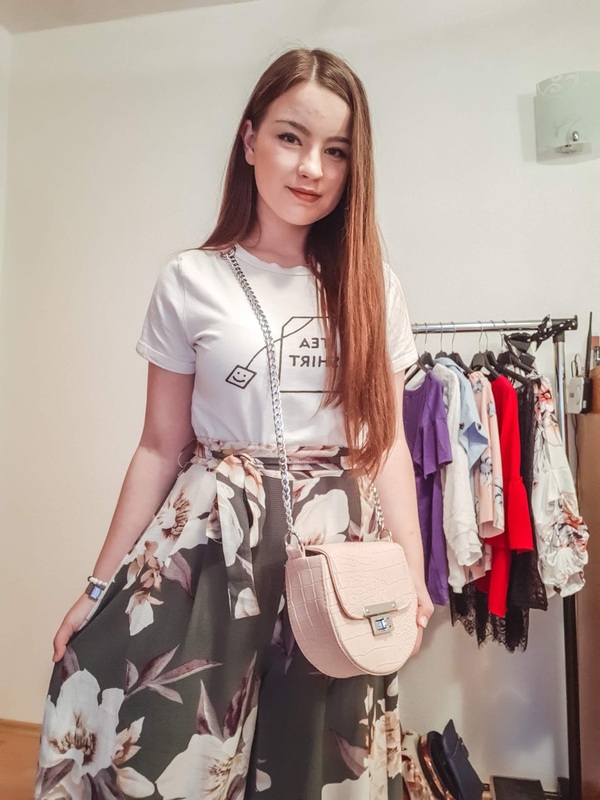 Bag is by Ilea Bags and my T-shirt is also from Zaful, it's not available right now but I think they'll restock it so link is right --> HERE. And we came to the third and the last outfit. I haven't been ordering from Zaful in so long because I no longer collaborate with them but I must admit they have always been one of my favourite web shops ever. These pants are from Zaful, too. 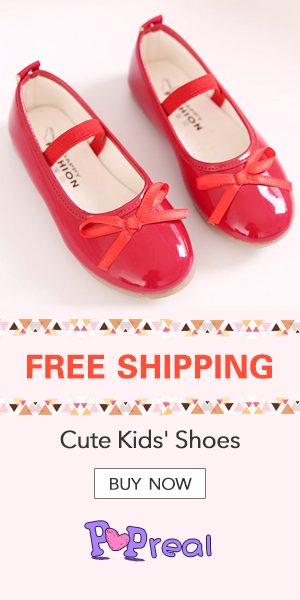 You can find them --> HERE. This gorgeous little bag is from Dresslily and you can buy it --> HERE. This bag looks so cute and classy at the same time. I love the combination of chain and belt as a strap and I really love everything about this bag except the fact it's not roomy, you can put very few essentials in there. It costed around $15 on Dresslily. Definitely check it out! The T-shirt I am wearing here is a gift and it's from Turkey, I don't know which shop. I like the writing and the simplicity of it. The little STAR hairpin is Vixcessories - my own brand, check it out and support me on Instagram --> HERE. So that would be everything for this post! I really hope you've enjoyed and liked it! 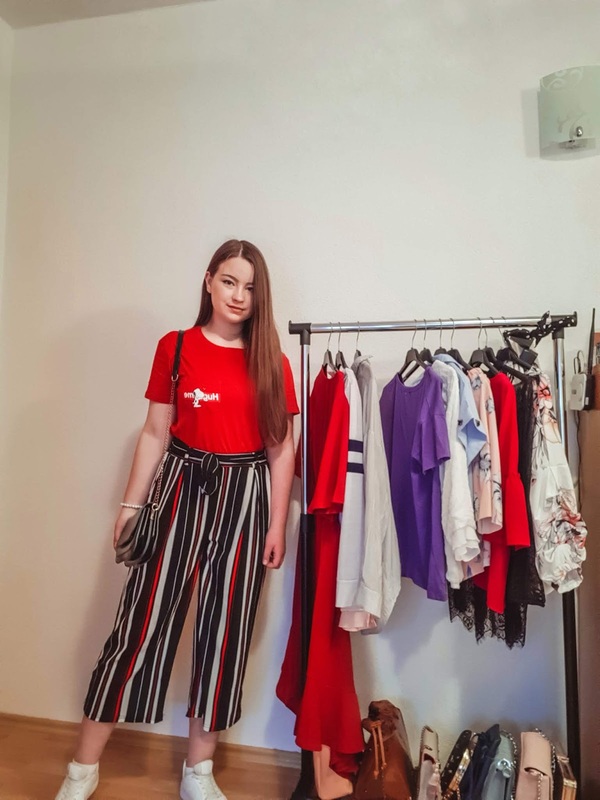 I like creating outfit posts for you so I wonder do you like reading them? Write me in the comments below! Subscribe to my newsletter to receive E-mails whenever I publish new blog post! 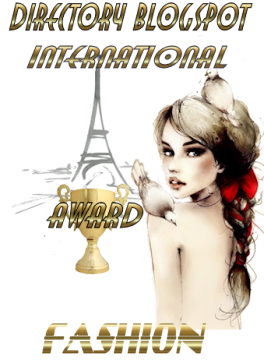 Thank you so much for reading this post and visiting my blog! I am so happy to have you here! Love you all and talk to you really soon! Their are more and more women start to wear human hair wigs recent years.most prefer full lace wigs and lace front wigs. Keep reading to find out how to choose human hair lace wig styles. You can choose the wig whatever color,length,texture you like. When you wear a wig, you can pick a style that matches to your natural color and hair style. Or you can break out of the box and try new styles that is quite different from your natural style,so you changed your looking like this. There are many good options when you choose any wig style. And there are some factors you should take notice to make sure you make the right choice and won't feel upset after purchase. 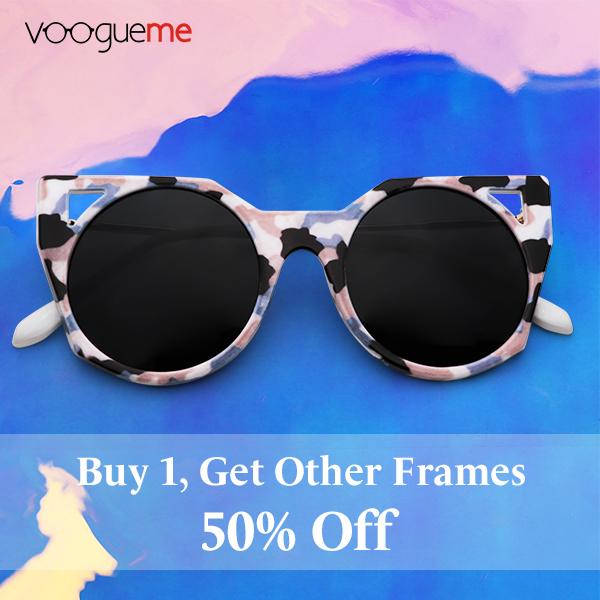 Choose the style that best fits the shape of your face. The length and style of your wig is the most important factor to complement your face.we have written many such articles for your reference. Pick a suitable hair style. Shorter styles are usually easier to care for because you can just shake them and go. That's why these styles are most often recommended. Wig styles are also available in midium length and long length for your choice. Some longer styles require more maintenance like regular conditioning to keep them manageable. Select a hair color that you like and match color of you face shade. You might want to stick to your normal hair color. Or you can try something wild and crazy. It's even possible to get highlights in a wig. any color highlight can be added on a wig quickly and with only small value of extra cost. Decide it is synthetic wig or human hair wig that you really like. Synthetic wigs require the least amount of care and they come pre-styled. 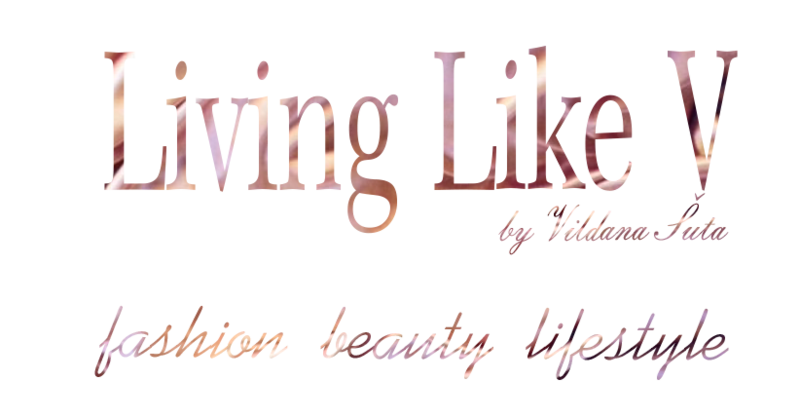 Human hair wigs allow you to create many beautiful and outstanding styles just like you would do on your own hair. Ask yourself how you'll feel after you make a choice. One of the common reasons for a wig is because the woman is going through chemotherapy, This type of cancer treatment can cause you to feel weak and loss hair. 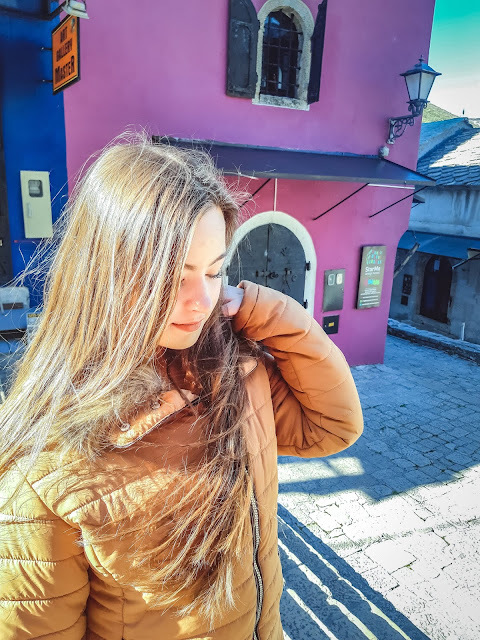 Knowing that, you might want to choose a style that requires little work so you always look your best without a lot of effort.but more reasons for a full lace wig or front lace wig choice is because of beauty and fashion! 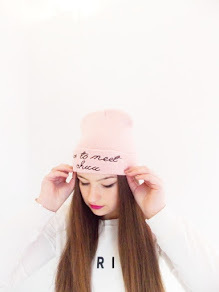 New post on my blog is going to be another outfit post where I will share with you outfit I wore today! Keep reading to find out more about it! I think the shirt is really beautiful but everyone seemed to firstly notice my jacket in this outfit. 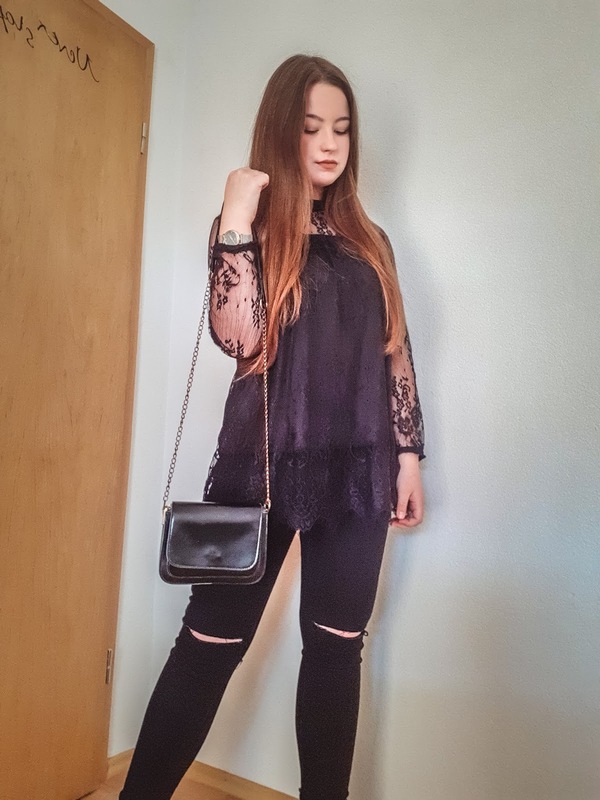 I got this one from Zaful web shop more than one year ago and I really like it, it looks today as if it's bought yesterday, there are no changes on it at all. The best thing about it is that it's statement piece of clothing. Do you know what that means? I heard the expression 'statement piece' related to fashion few years ago when big chunky silver necklaces were popular and then I had realized 'statement piece' in fashion means a piece of clothing, jewellery or even a pair of shoes which is/are attention-grabbing, something people on the street would notice on your outfit and if without that piece your outfit would be 'invisible' or not interesting to others - it's a statement piece! Did you know before what that means? If you learned something from this post today, be sure to let me know in the comments down below and subscribe to my newsletter to receive E-mails whenever I publish new blog post! 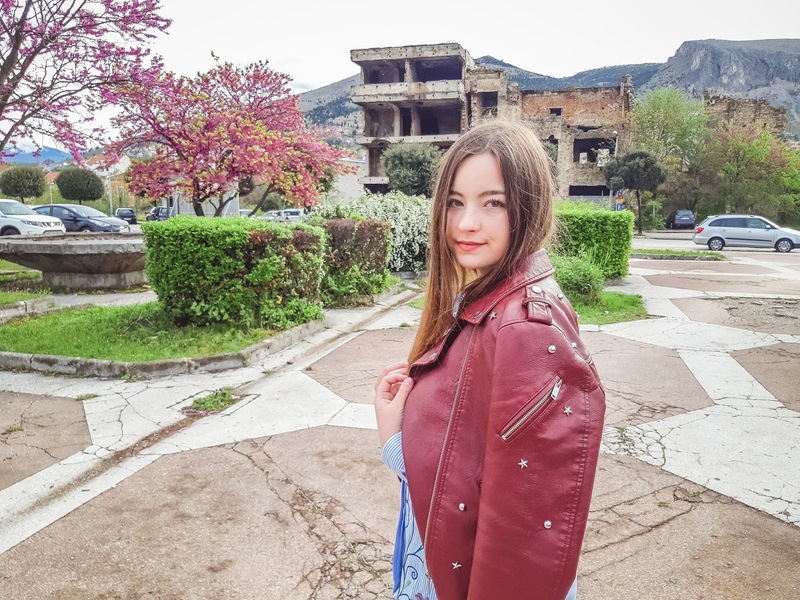 Favoriti februara i marta su tema današnjeg posta na Living Like V blogu! Nastavite čitati da saznate šta se to iz oblasti ljepote, mode, muzike, TV serija pronašlo na mojoj listi favorita! Pozdrav dragi moji čitaoci i dobro došli u još jedan novi post na mom blogu čija su tema favoriti februara i marta! Kao što vidite na slici iznad (na koju nije moglo sve ni da stane) imam dosta proizvoda koje vam želim pokazati u ovom postu. 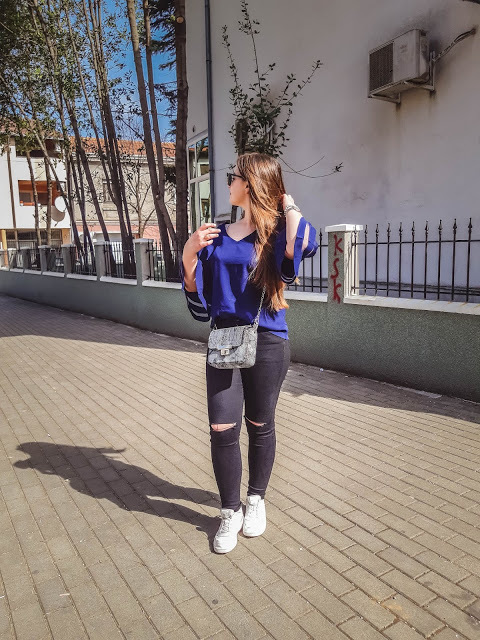 Pored toga, izdvojiti ću i omiljene outfit postove tj.odjevne kombinacije koje sam objavljivala na blogu u prethodna dva mjeseca, te popričati malo s vama o muzici koju slušam u zadnje vrijeme i na koje sam se serije (opet) navukla. Hello my dear readers and welcome to another new post on my blog whose topic are February and March favourites! As you can see on the photo up there (on which everything didn't fit) I have a lot of products I want to share with you in this post. 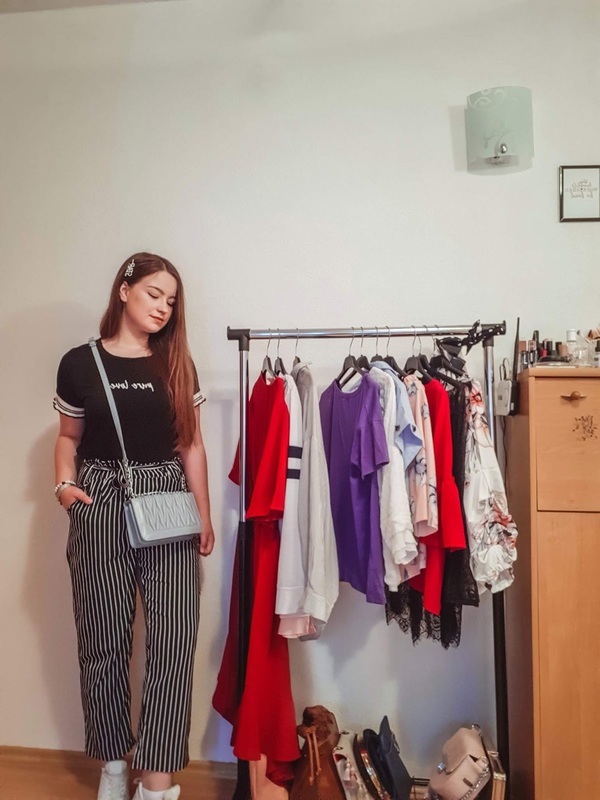 Besides that, I will share my favourite outfit posts, I mean, outfits which I've been publishing on my blog in the last two months, and talk to you a little bit about music I have been listening lately and on which TV shows I got addicted (again). Početi ću s proizvodima za njegu lica. Ova krema koju vidite sa lijeve strane je life-changing defintiivno! 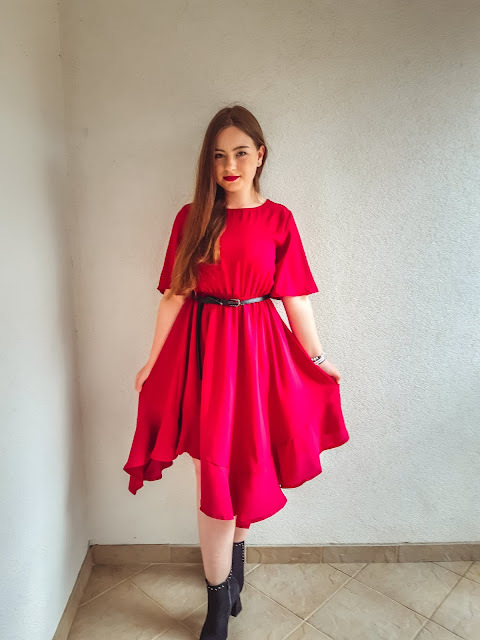 Jako mi se dopada, favorit mi je već prethodnih par mjeseci, tek sad sam je uvrstila u iste nakon što sam shvatila da ovo jedno pakovanje ne može da mi traje ni dva mjeseca. Ja je nanosim prije spavanja a njen glavni zadatak je da sve bubuljice riješava na način da ubrzava njen prolazak, tj. već za 24h vidite promjenu kada je nanesete na bubuljicu. Uglavnom, ovo je postalo must-have za mene! Sljedeći proizvod jeste Himalayin gel za čišćenje lica. Piše da je za sve tipove kože mada ja sumnjam da je i jedan proizvod pogodan za svaki tip kože. Ja ga koristim na način da ga kružnim pokretima utrljajem u kožu i onda ispirem, imam osjećaj da radi baš dobar posao kad se radi o čišćenju kože. Ne sadrži paraben, soap-free je. Zadnji proizvod sa slike je Bellen tonik o kome možete pročitati više u ovom postu --> OVDJE. I will start with skin care products. The cream you see on the left is life-changing definitely! I like it very much, it's been my favourite last couple months, but I have put it in favourites post when I realized that this one package cannot last me for two months. I use it before going to sleep and her main task is to get rid of pimples and acne in the way where it speeds up the process of recovering from pimples, I mean, you can see the change after only 24h when you put it on your pimples. Anyways, this has become must-have for me! The next product we have here is Himalaya face cleansing gel. It says it's for all skin types but I doubt that any product is suitable for every skin type. I use it in a way where I rub it in my skin with circular motion and then I wash it off, I have a feeling it does great job when it comes to cleaning your skin. It doesn't contain parabens, it's soap-free. The last product from the photo is Bellen tonic about which you can read more in this post --> HERE. 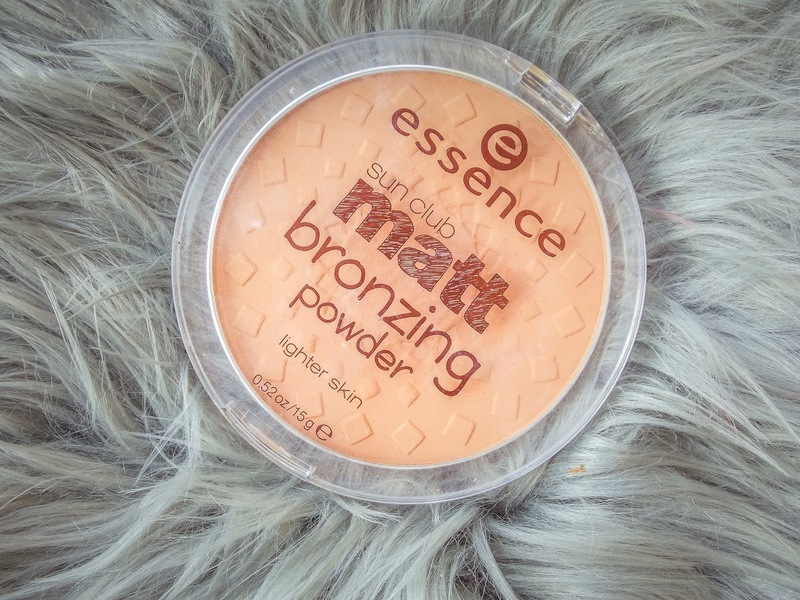 Sljedeće je šminka je i mala recenzija dva proizvoda sa slika a radi se o Essence Camouflage Matt korektoru i Essence Sun Club Matt Bronzing Powder bronzeru. Pokazala sam swatcheve na slikama. Prvo ću reći par utisaka o bronzeru. 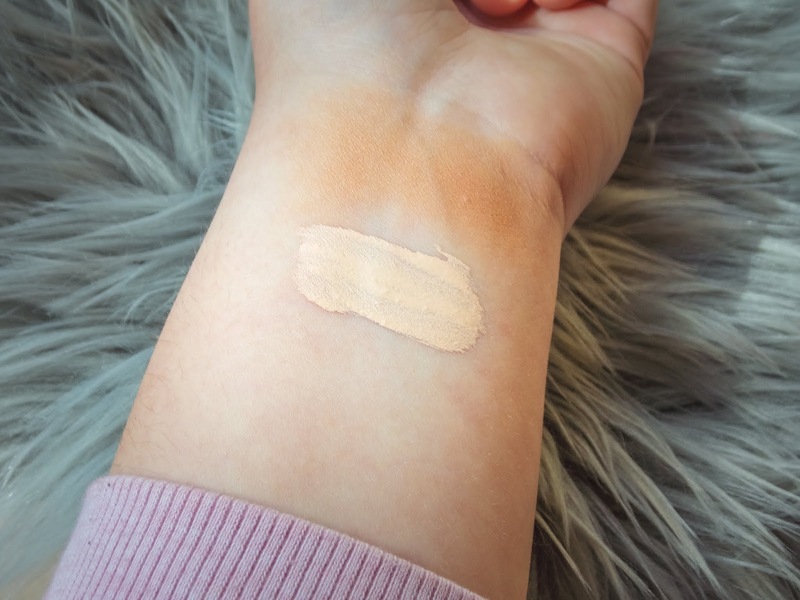 Bronzer sam tek nedavno kupila jer je u CM-u bilo sniženje od -30% na sve Essence proizvode a ja kod kuće nisam imala ni jedan bronzer, nisam se mogla sjetiti zadnjeg puta kada sam uopće nanijela bronzer na lice i nešto mi je došla ideja da će sada doći lijepo vrijeme jer je proljeće tu i bilo bi lijepo imati neki bronzer. Uglavnom, bronzer je jako slabo pigmentovan ali prednost toga jeste da je odličan za početnike u konturisanju (poput mene) jer možete lijepo odrediti koju količinu bronzera ćete staviti na lice tj.koliko prirodno želite da to sve izgleda. Fino se blenda i nadograđuje. Meni je ovo super izbor ako ste neko ko voli prirodniju i neutralniju šminku! A korektor sam kupila već davno i mogu reći da mi se mnogo dopada! Skroz je onako mat ali ima jako lijepu teksturu da se da izblendati. Neki kažu da im se uvlači u pore ispod očiju, kod mene to nije slučaj jer baš i nemam nekih problemčića na području ispod očiju ali ukoliko se pronalazite u tome, obratite pažnju dok kupujete korektor. 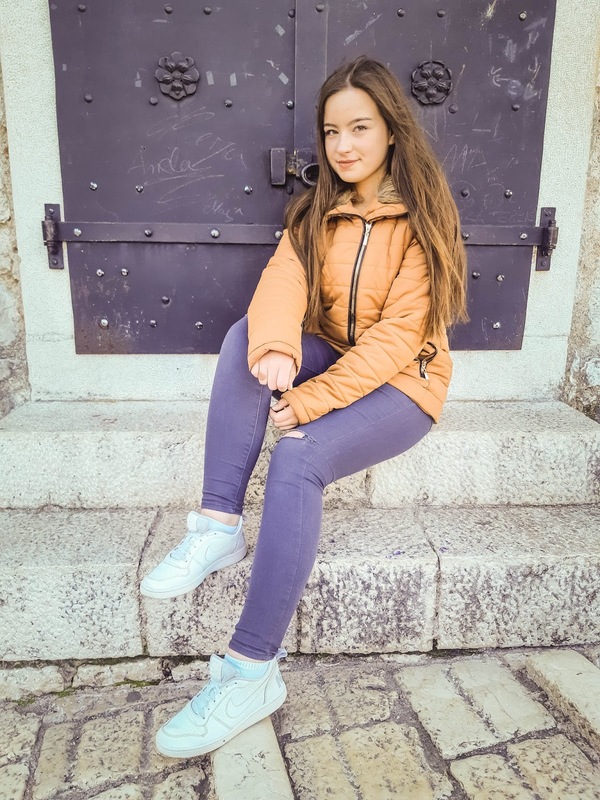 Ima dobro ali ne odlično prekrivanje, sitne bubuljice možete prekriti ali ukoliko imate neke veće koje su crvene ili slično, ja iskreno mislim da to ne može prekriti. 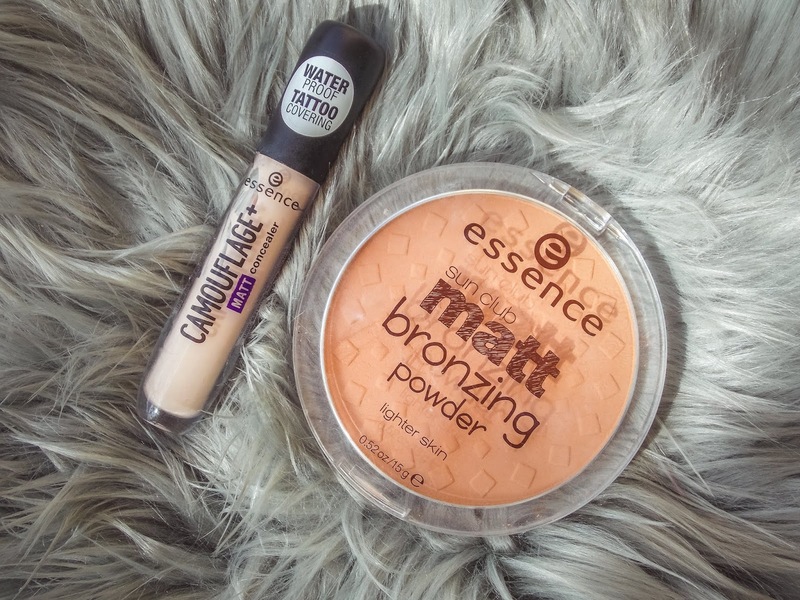 Next is makeup and little review of these two products from the photos and they are Essence Camouflage Matt concealer and Essence Sun Club Matt Bronzing Powder. 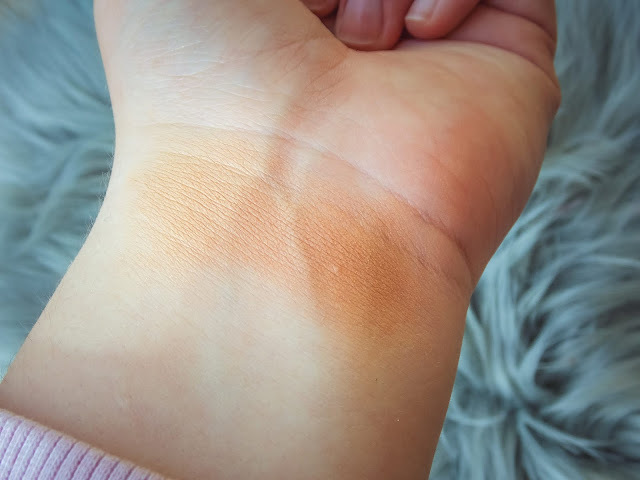 I have showed you the swatches on the photos. I will say something about bronzing powder first. I have bought it not so long ago because it was some kind of sale in my cosmetics market, the sale was -30% off every Essence product and I remembered I didn't have any bronzing powder at home, I couldn't even remember the last time I wore bronzing powder on my face and I got an idea that the nice weather is coming because Spring is here so it'd be nice to have a bronzing powder. 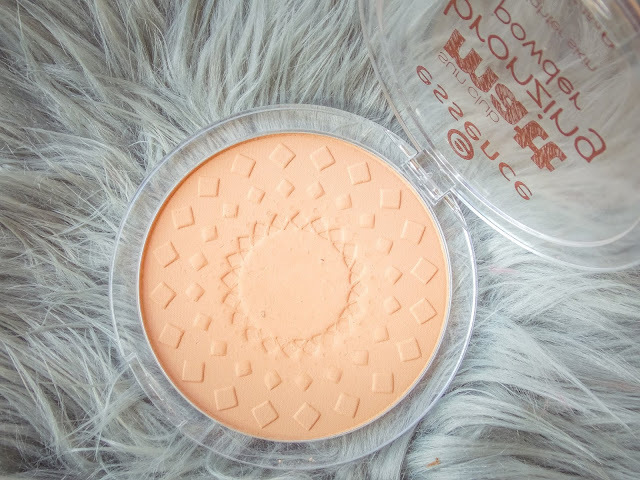 Anyways, this one is really low pigmented but the advantage of it is that it's great for beginners in contouring (like me) because you can nicely choose which amount of bronzing powder you will put on your face, I mean, how natural you want it to look. It blends nicely. I think it's a great choice for someone who prefers natural and neutral makeup looks! About concealer... I bought it a long time ago and I can say I like it very much! It's totally matt but it has really nice texture so you can blend it. 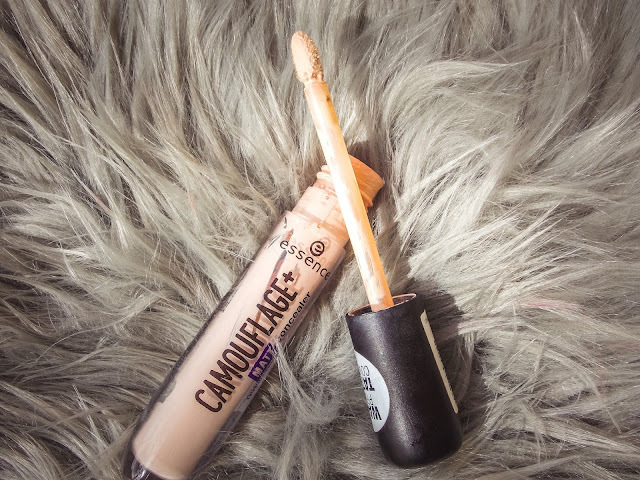 Some say it gets into their pores under eyes, which isn't the case for me because I don't really have those troubles under my eyes but if you find yourself in that, be careful while buying concealer. 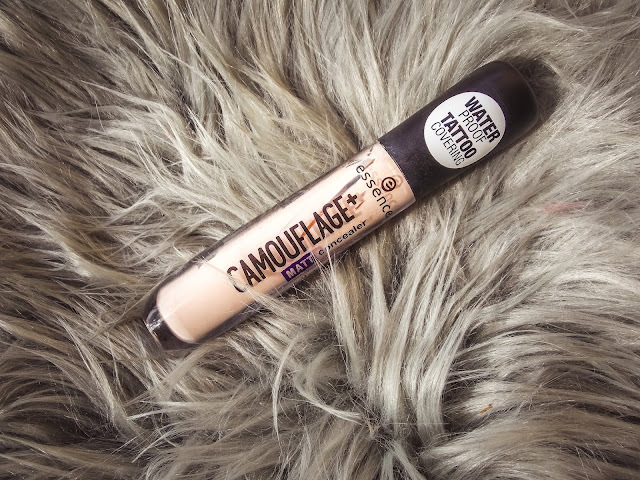 It has good but not amazing coverage, you can cover little pimples but if you have some larger which are red or something similar, I don't really think it can cover it. Dio za njegu kose i tijela. Prvo o kosi : o ovom Zlatnom ulju čitajte više u ovom postu OVDJE , da se ne ponavljam. To se ulje koristi prije pranja. 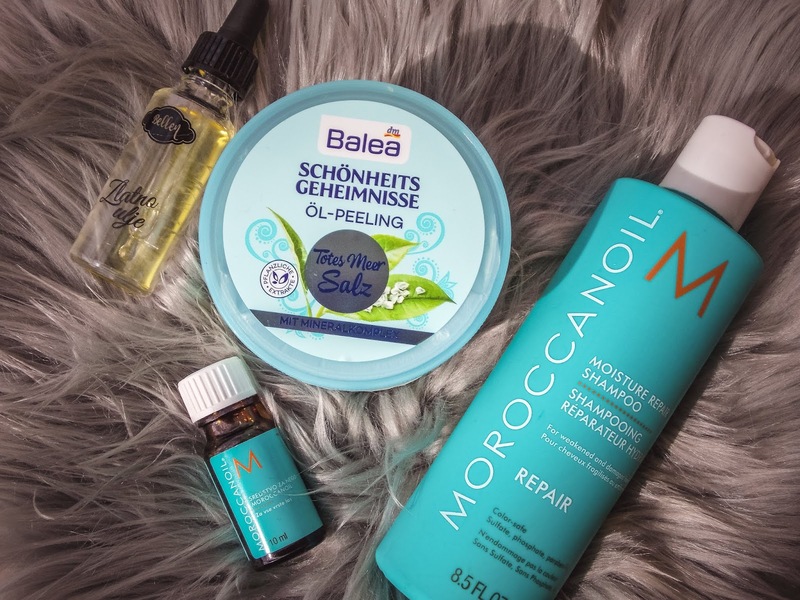 Poslije pranja koristim ulje iz Moroccanoil kolekcije a iz iste kolekcije koristim i šampon za obnovu kose. Moja kosa je, zahvaljujući ova tri proizvoda, super, mekana i sjajna! Ovaj Balea piling za tijelo je potpuno otkriće za mene! Ja sam oduševljena, koliko ovo ostavlja kožu glatkom i mekanom, poslije tuširanja vam ni ne treba losion, prelijepo! The part for hair and body care. Firstly about hair : about this Golden oil read more in this post HERE, so that I don't have to repeat myself. I use that oil before washing my hair. After washing it I use oil from Moroccanoil collection and from the same collection I use this shampoo for hair repair. My hair, thanks to these three products, is great, soft and shiny! This Balea body peeling is total discovery for me! I am amazed, how this leaves the skin smooth and soft, you don't even need lotion after shower, wonderful! Modni dodaci koje u zadnje vrijeme mnogo nosim su ovaj kaiš i naočale sa sajta Rosegal. 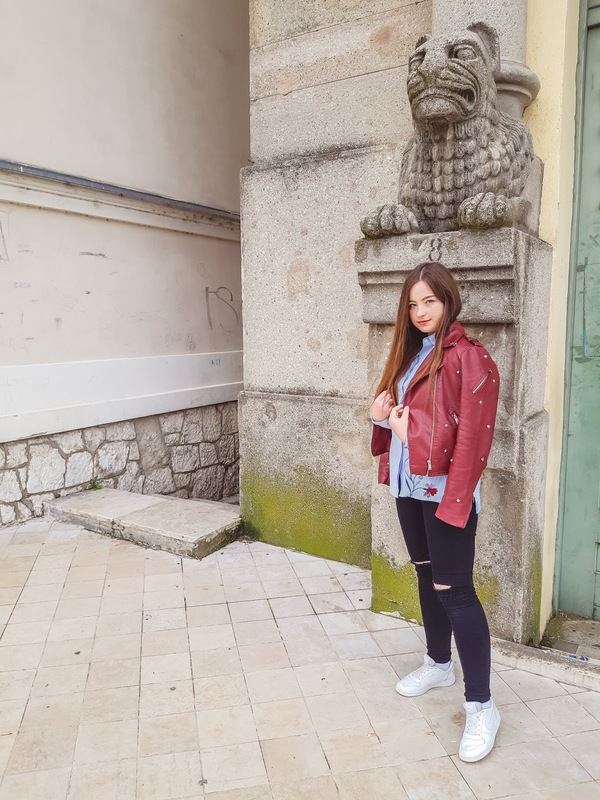 Mnogo mi se dopada što su naočale u crvenoj boji jer baš otvore svaki outfit a ovaj kaiš je jako dobar, služi svrsi a opet lijepo izgleda. Kaiš možete pronaći --> OVDJE a naočale --> OVDJE. The accessories I have been wearing a lot lately are this belt and sunglasses from Rosegal web shop. 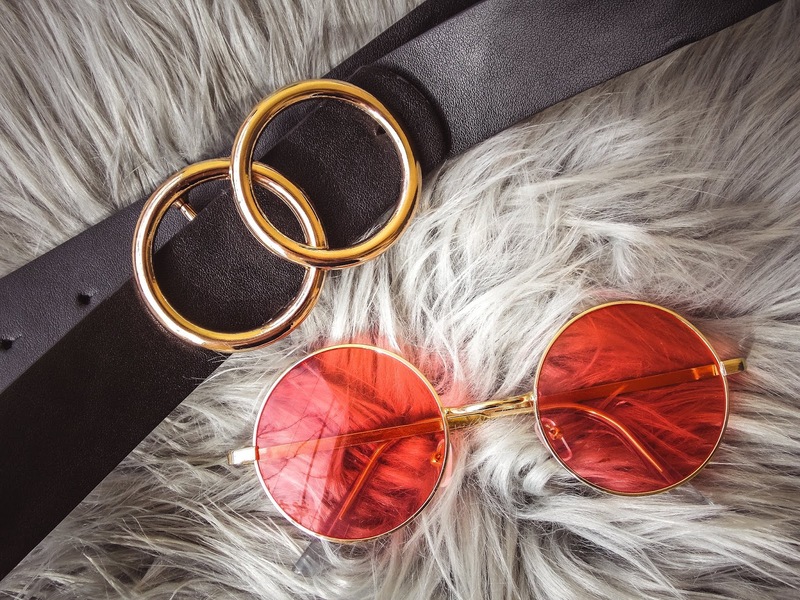 I like it very much that the sunglasses are in red colour because they add something special to every outfit and this belt is really good, it serves its purpose and yet it looks lovely. You can find the belt --> HERE and sunglasses --> HERE . 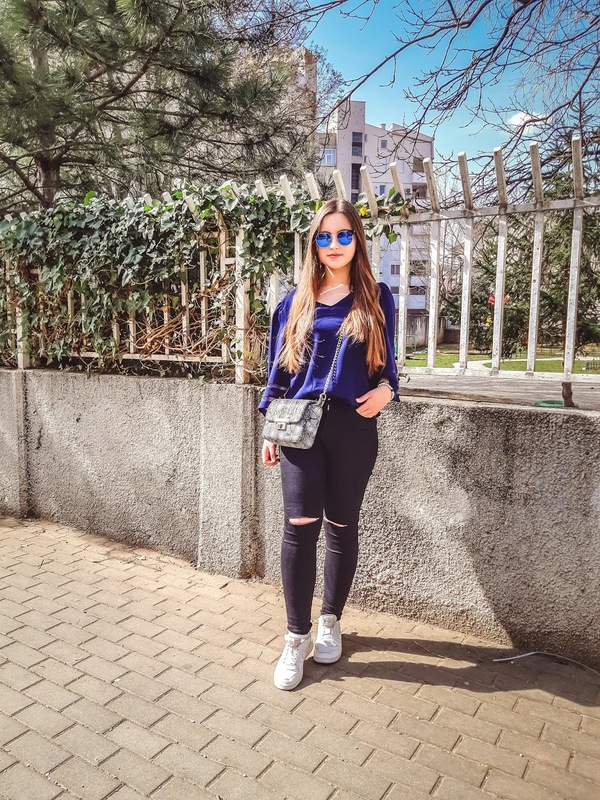 Iznad vidite outfit koji mi se najviše dopao iz perioda februara i marta. 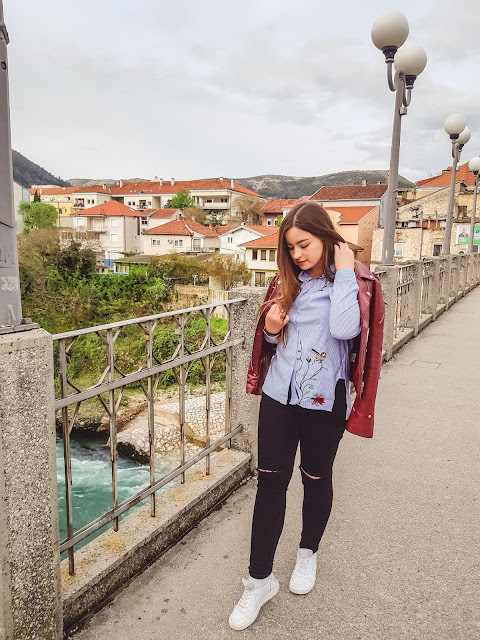 Sjećate li se možda vi nekih mojih outfita iz tih mjeseci? Ako da, pišite mi u komentarima ispod koji vam je najljepši! Što se tiče muzike, najviše sam slušala Halsey tačnije pjesmu Without Me i 11 Minutes, zatim The Chainsmokers i njihovu stariju muziku koja mi je i dalje super ali imaju i nekolike nove pjesme : Kills You Slowly i Who Do You Love, koje mi se dopadaju. 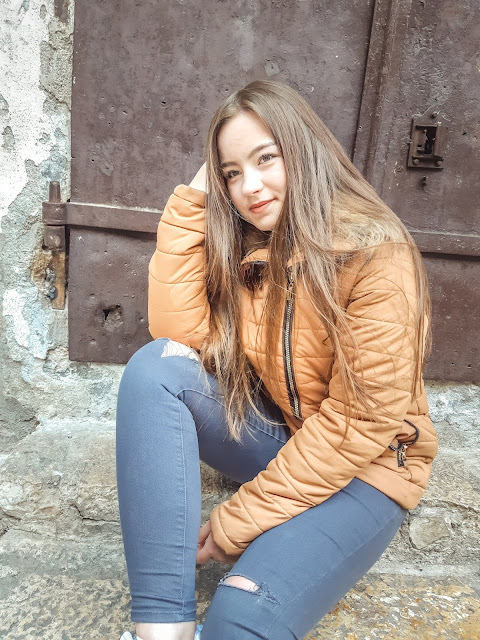 zatim Alan Walker i nova pjesma On My Way te sve pjesme iz filma A Star Is Born koje konstantno slušam! Što se tiče serija, vratila sam se seriji Prison Break i nastavljam na 4.sezoni a Riverdale sam pregledala koliko je izašlo dosad i ne mogu dočekati nove epizode. Također, preporučujem vam pomenuti film A Star Is Born! To bi bilo sve za ovaj post! Nadam se da vam se post svidio i da ste uživali! Volim vas sve i čujemo se uskoro! You can see up there the outfit I liked the most in period of February and March. Do you remember any of my outfits from these months? If yes, write me in the comments below which one is your favourite! When it comes to music, I have been listening to Halsey the most, to be precise, songs Without Me and 11 Minutes, next The Chainsmokers and their older music which is still great to me but their few new songs : Kills You Slowly and Who Do You Love, which I like, and then Alan Walker and his new song On My Way and every single song from movie A Star Is Born which I constantly listen to! When it comes to TV show, I am back to Prison Break and I am continuing on season 4 and I have watched every episode of Riverdale which came out till now and I cannot wait for new episodes. Also, I recommend you the mentioned movie A Star Is Born! That would be everything for this post! I hope you have liked it and enjoyed it! I love you all and talk to you really soon! Današnji post je Bellen recenzija čak tri proizvoda iz ponude ove predivne prirodne kozmetike! Nastavite čitati da saznate više, a ukoliko već niste, pročitajte prethodne postove o Bellen kozmetici : Prirodna Kozmetika Bellen i Proizvodi za Kosu Bellen Kozmetike ! 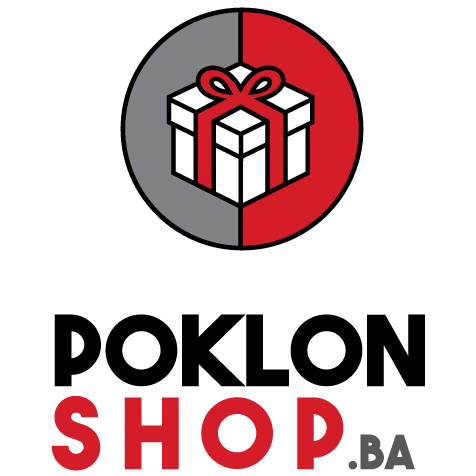 Pozdrav dragi moji čitaoci i dobro došli u novi post na mom blogu koji će biti Bellen recenzija tri proizvoda iz njihove ponude a radi se o dezodoransu u stiku, popularnom Zlatnom ulju i Bellen toniku za suhu i osjetljivu kožu! Jako sam uzbuđena zbog ovog posta jer ću vam predstaviti dva proizvoda koja su mi se mnogo dopala, ovaj treći koji je dezodorans u stiku sam manje koristila i budem kasnije javila nešto detaljnije utiske o njemu. 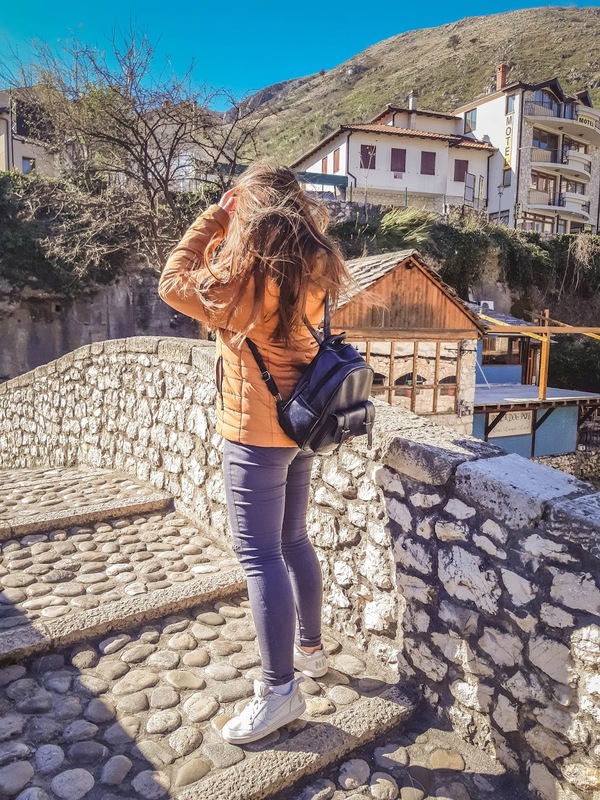 Početi ću sa Zlatnim uljem! 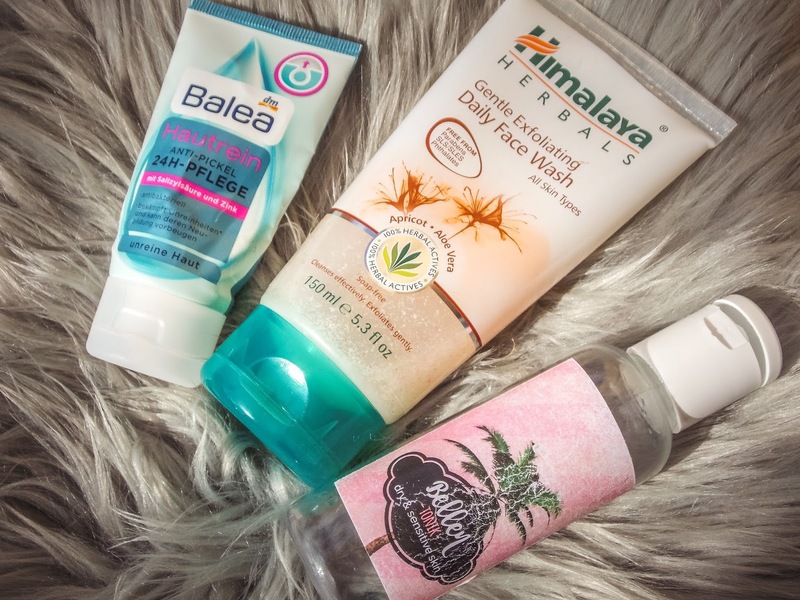 Hello my dear readers and welcome to another post on my blog which is going to be Bellen review of three products from their offer and they are deodorant in stick, popular Golden oil and Bellen tonic for dry and sensitive skin! I am really excited about this post because I am about to share with you two products which I really liked, the third one which is deodorant in stick I used less and I will tell you my detailed impressions about it later. I will start with Golden oil! Zlatno ulje je čudo! Prirodan proizvod a toliko dobar u riješavanju problema s kožom i kosom da je to nevjerovatno! Prvo sam ga koristila za lice i tu je zaista učinilo dobar posao jer mi je koža prije, zbog vremena i vjetra, bila jako suha a sada je poprilično normalna, napravilo je balans za moju kožu i jako sam sretna zbog toga. Onda sam počela da ga koristim za kosu i tu je isto odigralo dobru ulogu jer mi je pomoglo u obnavljanju ispucalih vrhova, te pomaže i u poticanju rasta kose. Sve u svemu, imam sve pohvale za ovaj proizvod i preporučujem ga svima! Golden oil is a true miracle! Natural product but yet so good in solving problems with skin and hair that it's amazing! 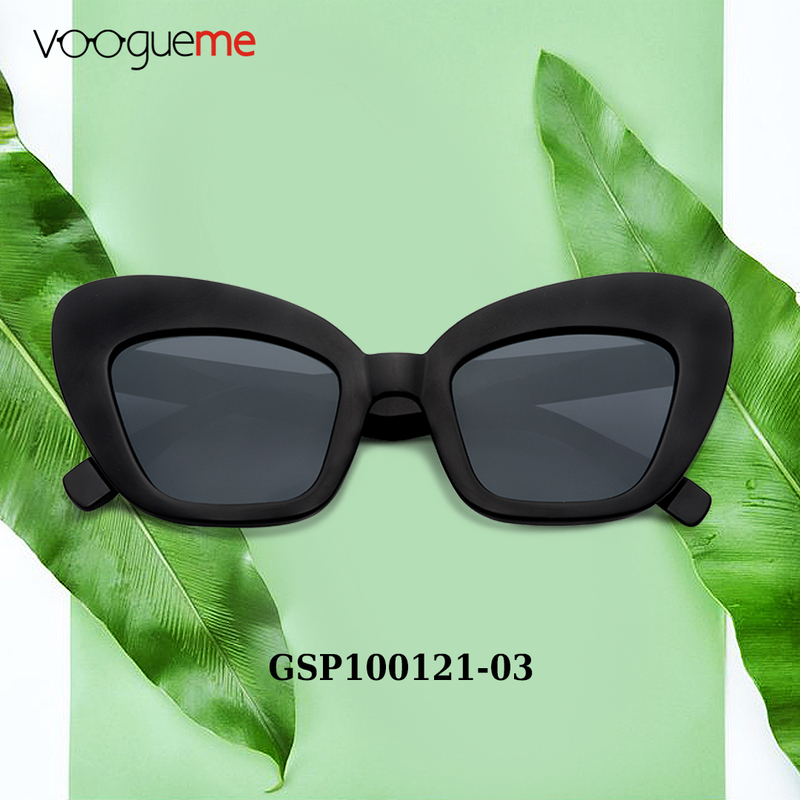 I've used it for my face firstly and it did a good job there because my skin was, because of the weather and wind, so dry and now it's quite normal, it made balance for my skin and I'm really happy about it. Then I started using it for my hair and it did a great role there because it helped in recovering my split ends, and it can help in encouraging the growth of your hair. All in all, I have nothing but the best to say about this product and I recommend it to everyone! Sljedeći proizvod je tonik za suhu i osjetljivu kožu iz kojeg vidite da sam iskapila zadnju kap zato što mi se mnogo dopao. Već sam rekla da mi je prije koža bila dosta suha, sada se vratila u normalan tip zahvaljujući ovom toniku i ulju o kome sam pričala jer u kombinaciji ova dva proizvoda ,ukoliko vam je koža suha , ona će se vratiti normalnom tipu kože. Također sve preporuke za tonik. On je jako lagan i prozirne boje. Lijepo se upija u kožu! The next product is tonic for dry and sensitive skin from which you can see I emptied the last drop because I liked it very much. I have already said that my skin was dry before, now it's in normal type thanks to this tonic and the oil I talked about before because in combination these two products, if you have dry skin, it will return to normal type. You have all of my recommendations for this tonic, too. It's really light and it has transparent colour. It absorbs into skin very nicely! I zadnji proizvod u ovoj Bellen recenziji jeste dezodorans u stiku. Nisam prije koristila ni jedan potpuno prirodni dezodorans i drago mi je da sada imam tu priliku. Probala jesam, nisam dugo koristila jer mi je tekstura dosta teška, miris je veoma lijep ali mislim da je prejak za dezodoransa, moj lični izbor što se tiče dezodoransa jeste blag neprimjetan miris koji neće uopće da primijeti osoba koja sjedi pored mene, jer mi je bitno da miris dezodoransa ne dominira nad mirisom parfema, ako razumijete šta hoću da kažem. To je samo moj lični izbor, što se tiče zaštite od neugodnih mirisa, tu je zaista super i čini razliku što ne mogu iskreno da primijetim kod drugih dezodoransa. Posjetite Bellen kozmetiku na Instagramu i podržite ih klikom na follow gumbić --> OVDJE. To bi bilo sve za ovaj post! Hvala vam puno na posjeti mom blogu i čitanju ovog posta! Volim vas sve i čujemo se uskoro! 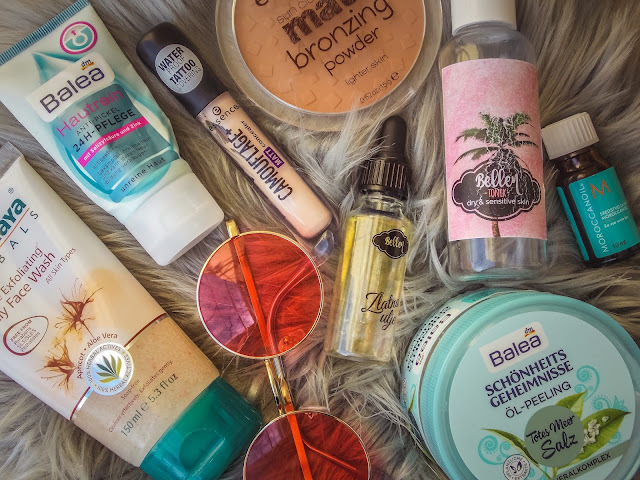 And the last product in this Bellen review is deodorant in stick. I haven't used any totally natural deodorant before and I am glad I got the chance to try it out. I had tried it, I haven't used it for longer period of time because the texture is really heavy, the smell is really nice but I think it's too strong for deodorant, my personal choice for deodorant would be mildly imperceptible smell which the person sitting next to me wouldn't notice at all, because it's important to me that the smell of deodorant doesn't dominate over the smell of the perfume, if you understand what I want to say. It's just my personal choice, when it comes to protection from unpleasant smells, it's great there and it makes a difference which I honestly cannot notice when it comes to other deodorants. Visit Bellen cosmetics on Instagram and support them by clicking follow button --> HERE. That would be everything for this post! Thank you so much for visiting my blog and reading this post! I love you all and talk to you really soon! 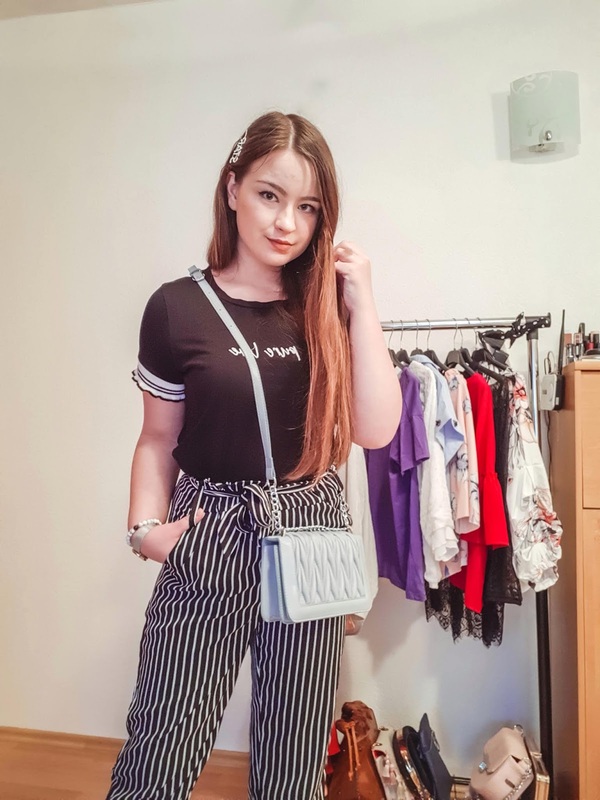 Another haul and review today - it's Dropship Clothes haul and review! I cannot wait to share with you which items I've got from this amazing shop because I am so pleased by my order! Hello my dear readers and welcome to the new post on my blog which is going to be Dropship Clothes haul and review of the three items I got from there! 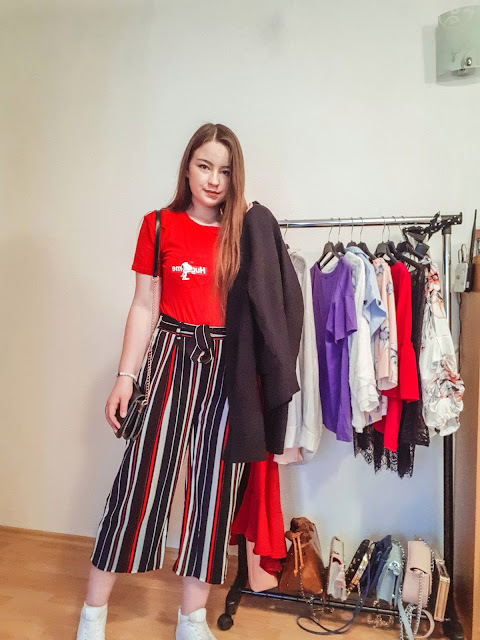 I did amazing shopping there because I've chosen three items which are totally different from each other, I could say they represent three seasons. I got a jacket, a dress and a blouse and I must say I am really pleased by my order. Without further ado, let's get into this... And oh, you can check out the web shop yourself HERE and find some amazing items, just like I did! So the first item I have here is this gorgeous dress which I fell in love when I wore it for the first time! The colour is so beautiful, everyone on Instagram said I look really good in this dress because this colour fits me nicely and I can agree with that because I really love this colour, this is something between red and pink, some people call it cyclamen colour but I am really not sure, what do you think? 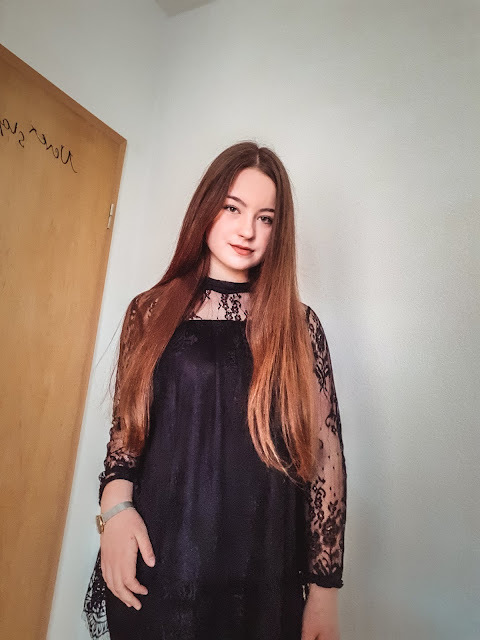 Anyways, the material is really nice, what I love the most about this dress is the feeling it gives to me when I wear it - I feel like a princess although the dress is not festive, it's an everyday dress so if you want to feel like a princess everyday try wearing this dress! Also, the length of this dress is just perfect, somewhere over the knees but not too long, it's shorter on the sides which I really like. You have all of my recommendations for this dress and wait for it... 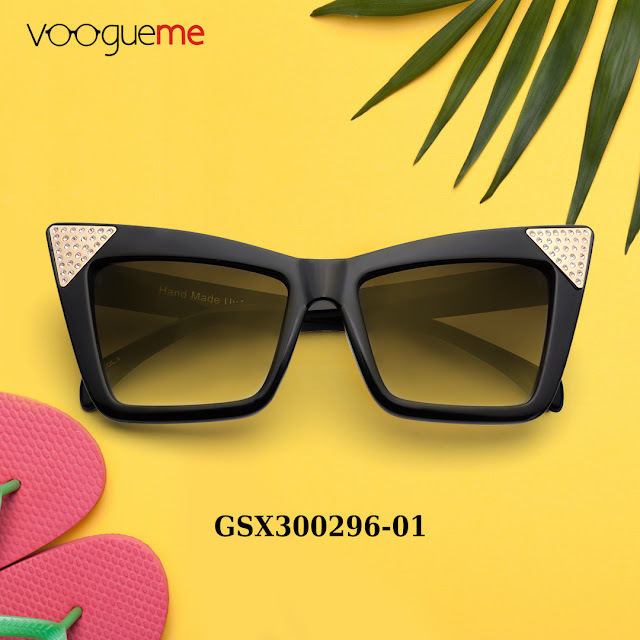 It costs only US$ 9.89 and you can find it --> HERE. It's available in multiple different colours. The colour is a bit darker in person than on the photos here but not too much. I got it in size M and it fits me perfectly. These are the photos from my last blog post but I am posting them again because in that post which was Dokotoo Haul (you can read it HERE) I was reviewing the jeans you see there but I didn't talk about this lovely blouse you can see on the photos. This blouse has a really nice colour, I mean the one I picked which is dark blue is so beautiful. It's available in many different colour you can choose from. I ordered it in size M and I think I should've chosen S because it's a bit looser than I thought it would be. The blouse is really pretty, I love the sleeves shape and details on them. And it only costs US$ 7.94 which is mind-blowing really! You can get it --> HERE. The last but definitely not least item in this Dropship Clothes haul is this jacket you can see on the photos. It's short jacket but it's so warm and cozy. I didn't expect it to be this high quality and this warm. You have all of my recommendations for this one! The zippers work perfectly, the fur is nice and the jacket or any of these items didn't come with unpleasant smell. 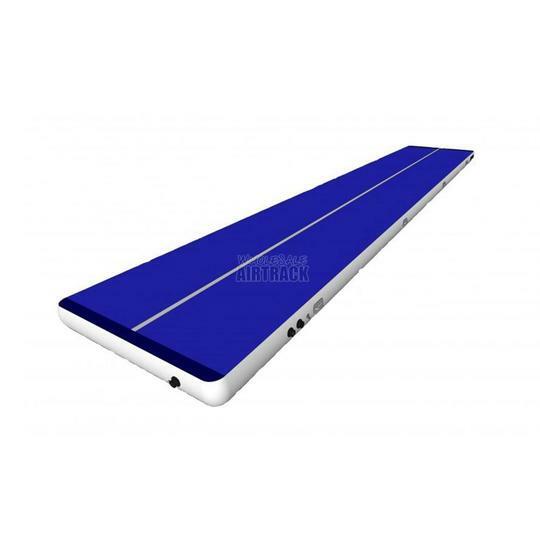 I am really surprised by the quality you get for only US$ 19.44.You can get it --> HERE. That was all for this post! I really hope you have liked it and enjoyed it! Thank you so much for reading and don't forget to visit Dropship Clothes because I got three amazing items below 40 dollars! Love you all and talk to you really soon!